The application for Summer Youth Farm Crew is open! The Summer Youth Crew is a component of the Green Village Initiative Youth Leadership Program. We are so excited to bring this year's Summer Youth Farm Crew on board! Our 2019 Summer Youth Farm Crew will start June 22nd. This summer, 12 Youth will be enrolled in our 8-week urban farming, food justice and leadership development program. 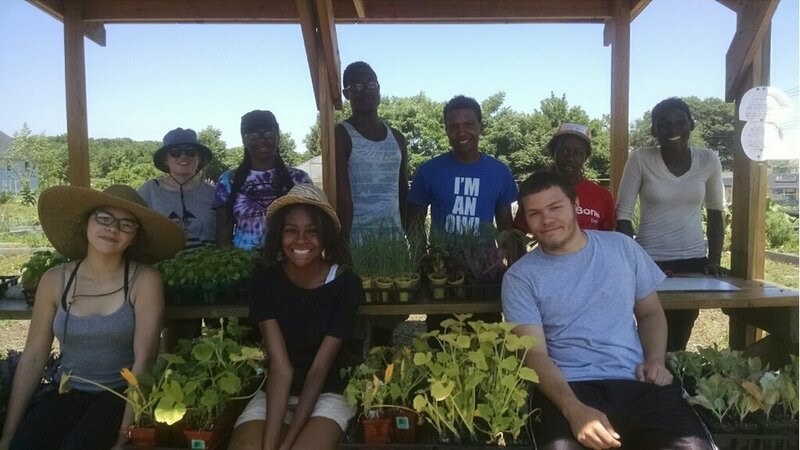 The Youth Leadership Program cultivates young food leaders in Bridgeport by developing skills in agricultural knowledge, food justice, career readiness, and leadership. These skills are achieved through participation in the Summer Youth Crew, Food Leader Advisory Group, and Academic Year Internships. Youth determine their role in the food system by forging meaningful connections with their neighbors, land, community, and city. Applications will be accepted until April 22nd. We are alo accepting applications for academic year Youth Food Justice Fellowships. The Youth Food Justice Fellowship is an academic two year internship designed in partnership between CTCORE-Organize Now! (CTCORE) and Green Village Initiative (GVI) to engage four youth in hopes to support young folks in creating a local community run food system in Bridgeport, CT. The Youth Fellowship is a two year commitment starting April 2019. Please read through the full description, and then apply using our online application, or by downloading and filling out a hard copy. Download the full description here or via the button below. Questions about the Youth Leadership Program? Please email us below, send an email to youth@gogvi.org, or call Virginia at (203) 612-4107.!